W. W. Norton & Company, 9780393323054, 207pp. "I sat down to write a book about pain and ended up writing about love," says award-winning Chickasaw poet and novelist Linda Hogan. In this book, she recounts her difficult childhood as the daughter of an army sergeant, her love affair at age fifteen with an older man, the legacy of alcoholism, the troubled history of her adopted daughters, and her own physical struggles since a recent horse accident. 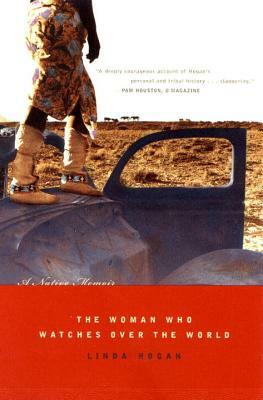 She shows how historic and emotional pain are passed down through generations, blending personal history with stories of important Indian figures of the past such as Lozen, the woman who was the military strategist for Geronimo, and Ohiesha, the Santee Sioux medical doctor who witnessed the massacre at Wounded Knee. Ultimately, Hogan sees herself and her people whole again and gives an illuminating story of personal triumph. "This wise and compassionate offering deserves to be widely read." Publishers Weekly, starred review.